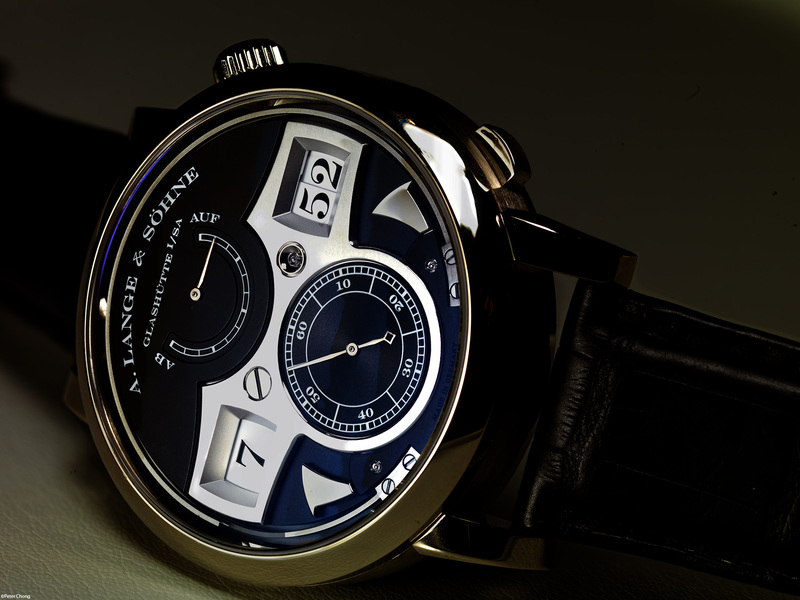 Lange had a bumper crop this year...in addition to the Richard Lange Pour le Merite Tourbillon announced last month...see this, they announced the Zeitwerk Striking Time, the new Saxonia Thin handwound, Saxonia World Time, and a refreshed Saxonia. And stay tuned for yet another big announcement slated for mid-year. 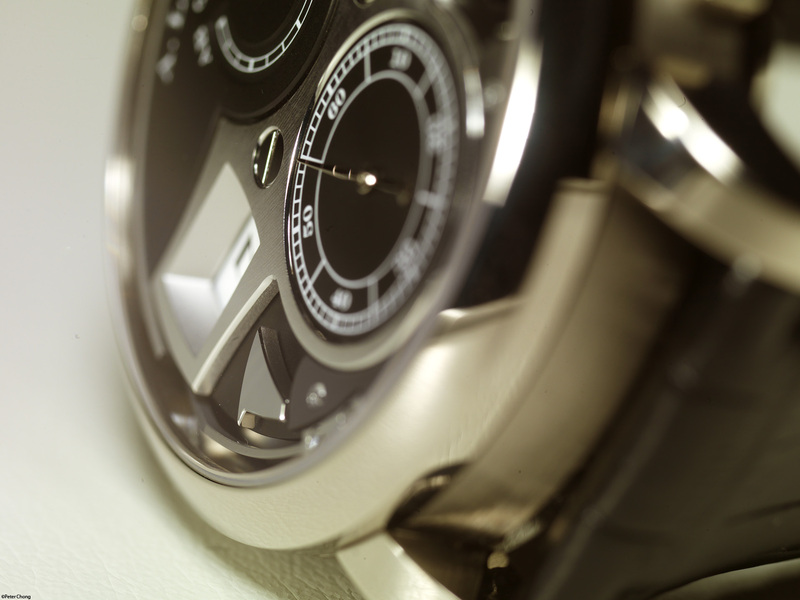 Built as a quarter striker, the watch can be put on strike or silent mode by the small pusher at 4 o'clock. When engaged, it strikes the passing time en-passant...one low note strike for the top of each hour, and every quarter after, a high pitch strike. The hammers and gong mechanism is a preview to what a minute repeater might be like. The hammer is constructed from steel, the hammers are tuned by hand to provide the right impulse with each strike. The speed, weight, and freedom of the gongs to ring are all part of the equation to make a pleasant sounding ting, loud enough to be heard. 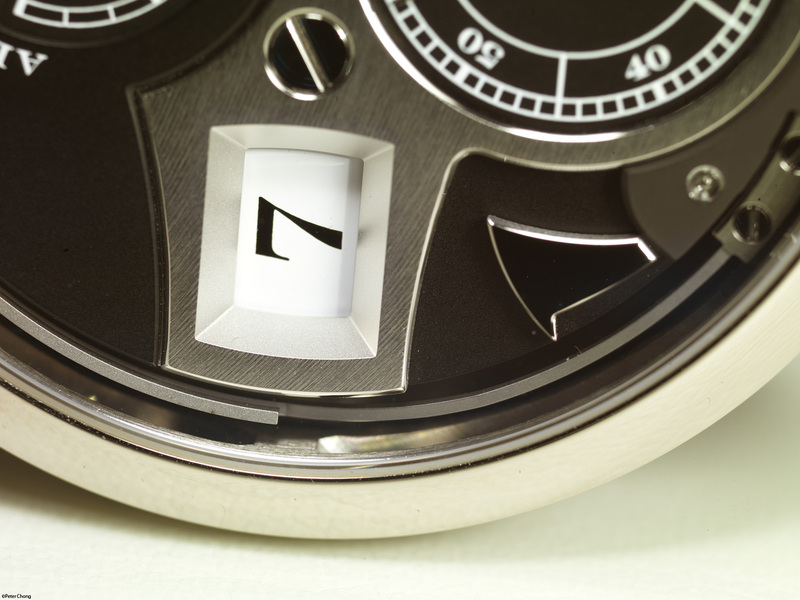 The Zeitwerk Striking's strikes record at 65dB, rather loud by wristwatch standards. 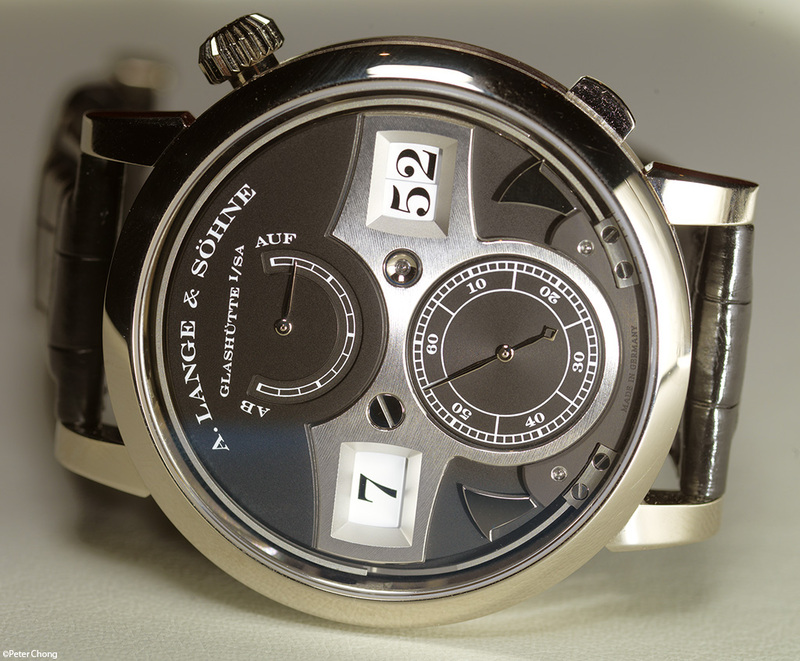 From the rear, it is no different from the regular Zeitwerk, announced in May 2009, as the striking works are hidden just below the dial. But the movement remains as magnificent as usual. Available in platinum in a limited edition of 100 pieces with a rhodium dial, and in white gold as shown with a black dial (no limitation). Stay tuned for the other announcements this Friday.